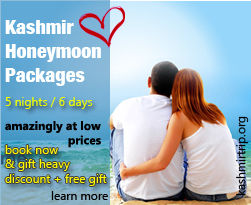 Kashmir Trip is a specialist operator of tours, and treks to various regions of the Jammu, Kashmir, Ladakh and Himachal. we have developed a great organization which is providing excellent service in India. Our group of offices for operations in the Sub-Continent has been developed for all land arrangements to provide the dream holiday of your life time. Our Organisation is a pioneer in India Tourism and our offices are continiously working to provide our valued travellers an experience to be remembered and treasured . Kashmir Trip Operational Team Consists of experienced and well travelled staff, this gives us more knowledge and expertise about true service, as well as culture and traditions of the Country than most. Travelling in this region can be at times a challenging one for foreigners where language, food, culture, climatic conditions differs in every area. Quality over quantity is our motto.Our dedication to service and quality is combined with comprehensive destination knowledge. Our staff are carefully selected for their product knowledge and industry experience. We being a customer oriented organization try to arrange the trip of our clients in the most resourceful manner, ensuring a pleasant and memorable travel experience. Furthermore, our dedication to work, unswerving quality and customer satisfaction have won us many accolades from clients spread nationwide. We want to be different, this has been our most outstanding quality. This is a trait which segregates us from the rest of the competition. We are aggressive, intense & passionate of our business of travel promotion.We provide a lending ear to understand the changing profile of today's traveller. We pack a lot of things to do and see in a short holiday, for some it may be taxing, for most it is the best way to holiday. Our young and vibrant team is full of ideas & eager to provide the right service.